The guitar is generally made from thin wood. This alive material imposes some rules of conduct follow to avoid making undergo in the instrument of the damage which sometimes are irreversible. However paradoxical it can appear, the solid wood guitars and thus the most expensive in the purchase are the most fragile and the most sensitive. The massive wood, although it is the most convenient to make quality instruments, is however the most vulnerable. Therefore, it reacts in variations of temperature and hygrometry. Indeed, the wood is constituted by cells which swell or compress according to the degree of humidity of the air. This phenomenon is much less perceptible on instruments made with laminated wood. At the level of the rate of humidity in the air, between 45 % and 70 %, we are in an ideal situation which imposes no particular precaution to be taken. Between 35 % and 45 %, the soundboard and the fingerboard begin to retract. So The play is so made less pleasant, but the guitar is not in danger. Below 35 %, things go bad. Damage can arise on the instrument as crazings on the soundboard or on the bottom of the soundbox. At this point, it is important to intervene by trying to mitigate this state of dryness. It is essential to increase the rate of humidity, either by arranging water containers near radiators, source of drought in apartments, or by creating a microclimate within the guitar by using a humidifier. 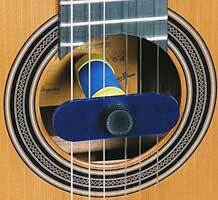 Above 70%, the wood of the soundboard starts to swell, making it therefore more difficult to play guitar. However, the risks inherent in an overly humid atmosphere become boring in the medium term. Indeed, a guitar exposed over a week in these conditions may present a risk bridge detachment, bars constituting the bracing of the soundboard etc … To protect your guitar, the first precaution is to avoid from inside the case, except to play. The second is to obtain “silica gel pack” in order to have it in the body of the instrument. Therefore, how to evaluate the degree of humidity or dryness in the air? 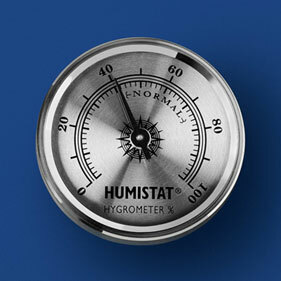 Simply by using a “hygrometer” which will give you, on the condition of the well calibrated, the precise information. Less precise than a hygrometer but more economical, your body with its reactions can give you indications. For example if you have the dry throat, it can reveal that the rate of dryness is raised and it is possible that your instrument suffers from it. For anecdote, we have for habit when we deliver our instruments to suggest to our customers to consider their instrument as a real person. An example ” Would you put a friend in the trunk of your car to travel? In fact, it’s the same for the guitar. So the personification of the instrument allows to limit the problems. In summary, the hygrometer, the bag of silica and the humidifier are three essential elements to allow your guitar to protect for a long time its qualities.